India is also known as “land of Gods and Goddess”. People of various regions lives and they worship according to their religion. Maximum population of India is Hindu and they offer their prayers in temple. There are lots of mosque, church, gurudwara (place of worship for Sikhs) in all over India. Daily number of devotee visits these pilgrimages and offers their prayers. In India each and every home has little space for worship but still there are countless temples and other religious places. According to a Tamil proverbs “Don’t live in a place where there is no temple”. So each part of India is having number of religious places with significant importance. It’s very difficult to count number of religious temple and places in India. Uttarakhand is one of the best tourist destinations to visit with lots of pilgrimages. This is the place from where holy River Ganges (Ganga) emerges from Himalaya. 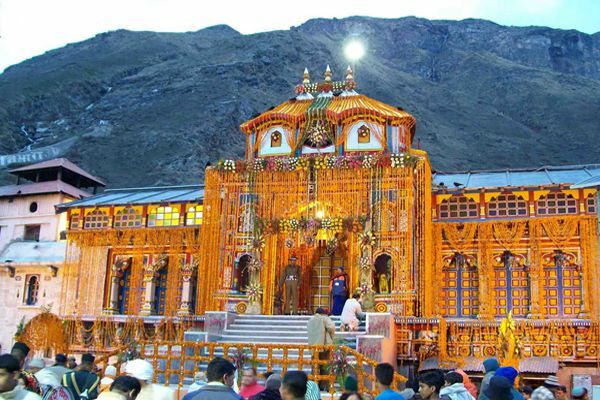 Uttarakhand alone consist lots of pilgrimages but most popular pilgrimages are Char Dham of Uttarakhand which includes four holy shrines of Hindus. These shrines are Badrinath, Kedarnath, Gangotri and Yamunotri. Kedarnath is dedicated to Lord Shiva, Badrinath is dedicated to Lord Vishnu, While Gangotri and Yamunotri are dedicated to Goddess. These are four adobes of Uttarakhand, while Badrinath, Dwarka, Puri and Rameshwaram are four adobe of India. It is considered highly scared by Hindus to visit Char Dham during one’s lifetime. 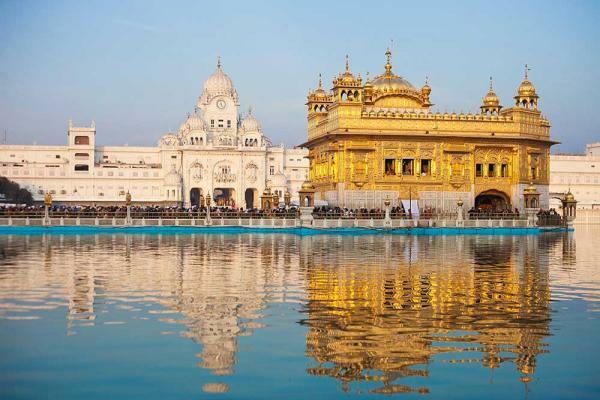 Amritsar is home to Harmandir Sahib and commonly known for Golden Temple. Golden Temple is important Sikh Shrine and spiritual and cultural centre for the Sikh religion. People of all religion visit this pilgrimage and this is symbol of human brotherhood and equality. Top of this temple is made of pure gold. Golden temple is surrounded by manmade lake which is called Amrit Sarovar (pool of holy nectar). Guru Nanak, the first Guru of Sikhs was used to meditate at his place and later temple was built. Ajmer is one of the major cities of Indian state Rajasthan. 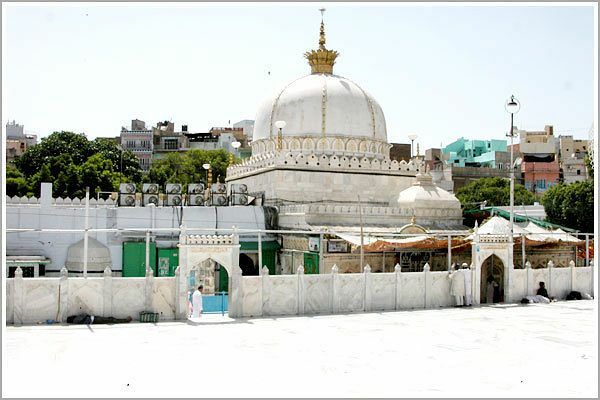 Ajmer is surrouined by the Aravalli Mountains and it is the pilgrimage centre of Sufi Saintsa KHwaja Moinuddin Chisti. There are lots of religious places in Ajmer which attracts number of devotees from India and abroad. Places of interest in Ajmer are Pushkar Lake, Pushkar Camel Fair, Brahma Temple and Akbar Fort Museum. 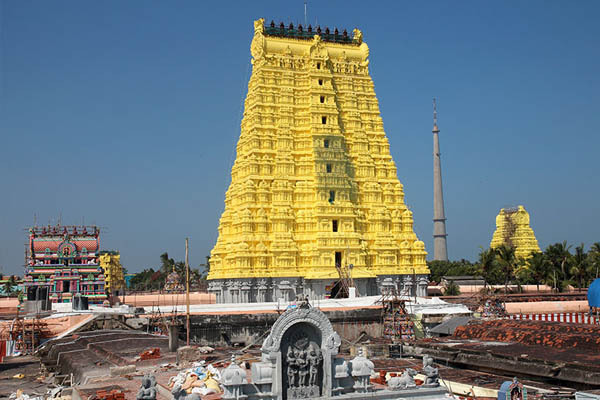 Rameshwaram is home to Ramanathswamy Shiva Temple and one of the 12 Jyotirlinga (Jyotirlinga is a devotional object representing the Supreme God Shiva) of Shiva Temple. Rameshwaram is one of the four adobes of India and most visited pilgrimage site in India. According to Hindu Mythology, Rameshwaram is the place where Lord Rama built bridge to cross the sea and rescue his wife Sita from demon Ravana. And after killing demon Ravana, Rama worshiped Lord Shiva at this place. It is said that pilgrimage to Varanasi is incomplete without a pilgrimage to Rameshwaram. Mathura is located at the center of Brij Bhoomi and called Shri Krishna Janam Bhoomi. Mathura is believed to be the birth place of Krishna. 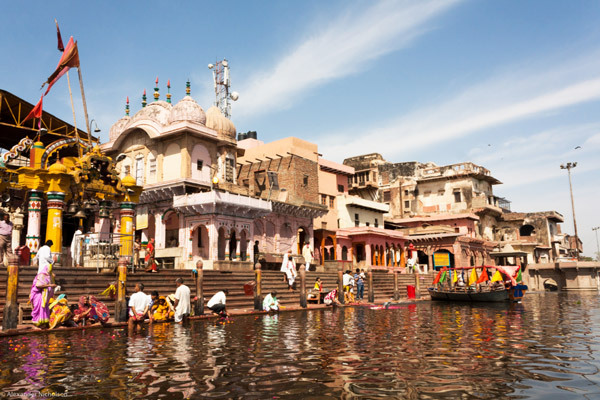 Mathura is one of the most visited pilgrimages of India. It is situated on the left bank of River Yamuna. Holi (festival of colors) is famous in Mathura. Some of the important places in Mathura are Dwarkadhish Temple, Ranghbumi, Virandavan (home of around 4000 temples dedicated to Hindu deities Lord Krishna), Gokul (where Lord Krishna spend his childhood) and Govardhan. Dwarka is one of the four adobes of India and attracts lots of pilgrimages every year. Out of 12 Jyotirling, two are here. One Jyotirling is at Somnath and second at Nageshwar. The Shivling inside the Somnath Temple is beautiful and the sanctum sanctorum. In Hindi it is called “garbhgraha”. It is made of pure gold. 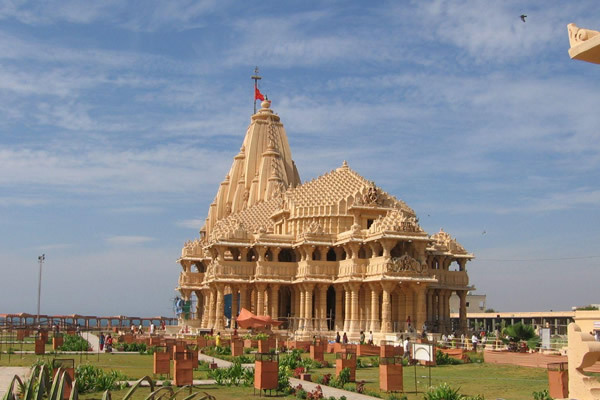 Dwarka is dedicated to Lord Krishna, while Somnath temple is dedicated to lord Shiva. Nearby places of interest are Dwarkadeesh Temple, Gita Mandir and Rukshmani Temple. Tirupati is the biggest pilgrimage spot in South India and one of the most visited places. Every year million of pilgrimage visits this holy place of Lord Tirupati. Because of Tirumala Venkateshwara Temple it is considered one of the holiest Hindu Pilgrimage. 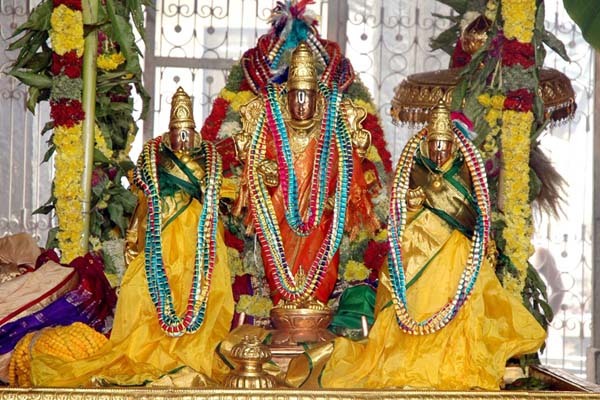 Tirupati is an ancient city in Andhra Pradesh and it is famous for its temples. The Tirumala Hills in Tirupati are the second oldest rock mountains in the world. Places to visit in Tirupati are Shri Venkateswara Temple, Sri Vari Museum, Sir Govindrajaswami Temple, Srikalahaste and Kanipakam. 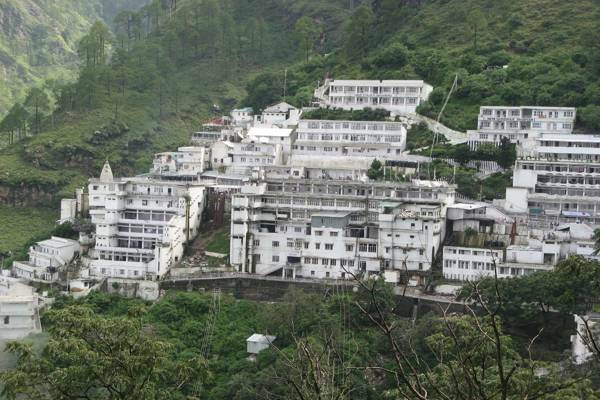 Vaishno Devi is one of the top pilgrimages in North India. It is situated in small town Udhampur district of Jammu and Kashmir state of India. Vaishno Devi is dedicated to Hindu Goddess Shakti (Parvati). It is believed that Vaishno Deiv is second most visited pilgrimage site in India after Tirumala Venkateshwara Temple. Other places to visit are Ban Ganga Temple, Charan Paduka Temple and Ardh Kuwari. 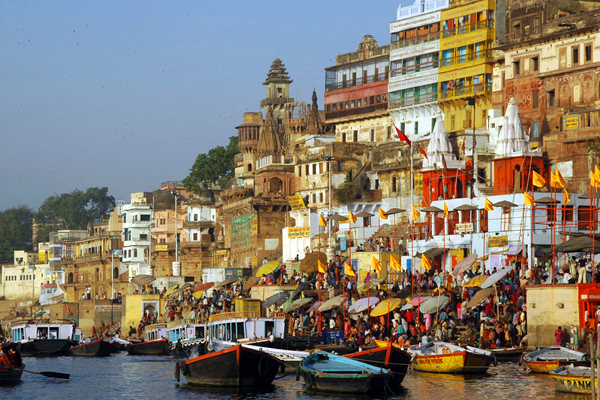 Varanasi is one of the cities on the bank of River Ganges. Varanasi is also known as Banaras and Kashi. It is also one of the most visited pilgrimage site and major religious hub in India. Places of attractions are Vishwanath Temple, Bharat Mata Temple and Tulsi Manas Temple. Millions of pilgrim came each year to Varanasi and take holy bath in River Ganges. Varanasi is among one of the holiest of the seven scared cities of Hinduism. Shridi is famously known as the home of the saint Sri Sai Baba. Shirdi is very scared, powerful and important place of pilgrimage in India. Visitors of all religion visit this holy place. Attraction nearby are Gurusthan, Samadhi Temple, cottage of Adul Baba, House of Laxmibai Shinde, Chavadi and Dwarkamai. 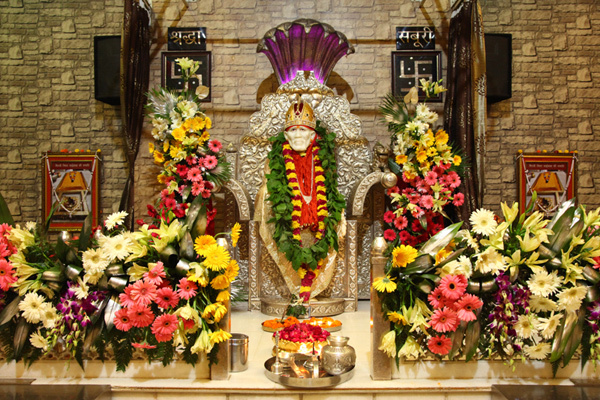 The Sri Saibaba Sansthan Trust in Shirdi is one of the richest temple organizations in India. Thanks a lot for liking my post and visiting my blog. Good day. Amazing pictures and places filled with spirituality…your blog captures the essence of beauty itself. I’m grateful for discovering this wonderful collection of meaningful pictures of our world, thank you so much for this opportunity! Thanks a lot for visiting my blog and for your precious comment. Keep in touch and good day. Sure, all places are of significant spiritual importance. Thanks for visiting my blog and good day. Keep in touch. I have met some Christians from India. They tell me that many believe in Jesus; they just add Him to their belief system of many gods. He asked people to believe in Him only. From what I understand, the Apostle Thomas came to India over two thousnad years ago. Thank you for checking out my site, “Write Light.” Your photographs are amazing. India is a country with my religion and history of thousands years and people have lots of belief in God. Thanks for your valuable comment. Good day and keep in touch. Thanks a lot and for your lovely comment. Nice info and AH-MAZING pics !! Its my pleasure and good day. Yes they are lovely places to visit. Keep in touch and thanks for your review. Thanks a lot for your comment. Good day and keep in touch. Thanks a lot for visiting my blog and adding your comment. Good day. Amazing…try even the untouched part of north east India even. Yes, surely cover the hidden beauty of North East India. Thanks for your valuable suggestion. Keep in touch and take care. You too take care and good day. What a wonderful reference. Thanks for the information. I’ve visited some of these pilgrimages before but I’d love to see the others! Great post and the pictures are lovely! Fantastic article, beautiful pictures with excellent information concerning them. I enjoyed the article so I am going to reblog it for you. Thanks a lot and it my pleasure. Good day and keep in touch. Great article for every Indians. I feel like I was there, thank you for the beautiful pictures and for following my blog. Hope you enjoy the daily diary entires from 1990! Yes its beautiful. Thanks for your comment. Good day. Very nice one! Keep sharing this kind of more useful articles. To visit more wonderful attractive tour destinations in and around Bhimashankar or any other place in India Book taxi service or cab service now at ganraj Travels at very affordable crates. We provides special offers on every booking. Hurry up! It is really amazing facts about temple tourism. Thank you for the list. Just reminded me to add these to my list of places to visit. Yes all of these places are must visit site. I had also visited few of them and remaining are also on my list. Thanks for your comment. Good day.